So I finally received the long awaited delivery of my Surface Pro 4 i7 16GB 512SSD. Once accompanying products have been purchased (keyboard, mouse, etc) this was a purchase in excess of £2K. I justified this to myself because this could realistically support a mini Hyper-V and dev environment on a device which really was truly portable. A proper OS makes this a truly useful and exciting device. My excitement was however short-lived when I discovered the performance of the SSD was awful. Worse, in fact, than the Surface 3! If I’m paying top dollar I want top spec and was set to send my Surface back to Microsoft. I then read on various forums that Microsoft had sourced their SSDs for the top-end models from two different manufacturers, Samsung and Toshiba. 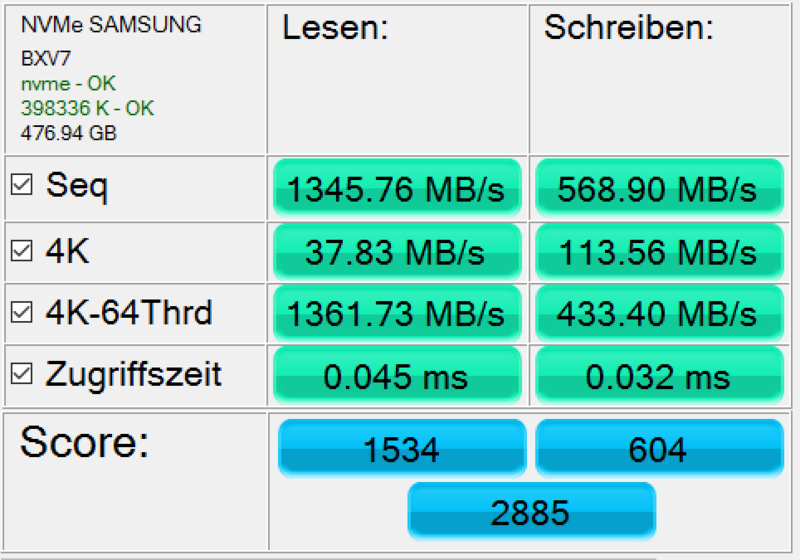 Unfortunately it appears most people have received hardware with the Samsung drives in which are slower. These drives, while reasonably fast to read (1200+ MB/s) were exceptionally slow to write (average around ~150MB/s). Compare this with the Toshiba drive or Surface Pro 3 which was around five times faster! Anyway, following some digging it appears Samsung have released a firmware update for their SSD which brings it back into line. For typical bench scores after the applied update, see below. In short, this is a must-have update, almost as important as the various stability updates around. Download here. The link above seems to be constantly ‘busy’. I fortunately still have a copy of the driver which you should be able to access here. Also, if you have downloaded the May 2016 drivers, I have written an update post. Surface Pro 4 (and Samsung SSD woes) in your article you got a picture of your test results. Can You tell me what program ( Name ) you used and where can it be downloaded. However, it will not let me perform OS optimization or Performance optimization, even though the program recommends it to me. Firmware update is not available to me either. i have a surface Book 256gb with the samsung drive. Hi Simon, really sorry about the length of time it has taken to reply.